One of the many problems new graduates face is marketing their skills to new employers. 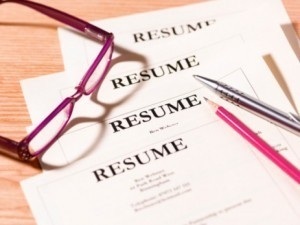 So how do you demonstrate that you have the skills listed on your resume? ​First and foremost, highlight some of the basic skills you picked up throughout your education. These skills should be transferable skills that almost everyone possesses, but can be applied to a large spectrum of industries such as communication, critical thinking, understanding of complex theories, time management and leadership abilities. Next, brainstorm skills that may be more specialized or unique to you. Did you cover stage design? Did you learn any specific programs? What skills do you have that are not as general and would take time and effort to learn? Once you have these skills on your resume, how do you prove it? Portfolio​: If you claim to be an awesome writer, photographer or web design genius, I would recommend compiling a professional portfolio to showcase your work. You can include anything you like. This is the best way to show your talent. Think of it as your own personal brag book! ​Industry Knowledge: Know what you’re talking about. Don’t just go into an interview knowing nothing about the company. Know about the industry. Show that you understand complex ideas that you can communicate, and take leadership by knowing what’s going on in the industry. Connect the Dots​: When giving examples, always refer back to your experience. Connect the dots for potential employers. Let them know that your internship at Company A taught you how to manage your time in an effective manner by challenging your organizational skills. Show your interviewer that you had to learn to work not only under pressure, but also under time constraints. Always demonstrate how you learned what you claimed you learned. ​By employing a few simple techniques, it’s easy to show employers how skilled and qualified you are for the job. Just remember -- if you don’t tell them, there’s no way for them to know. So always make sure to spell out your strongest assets!